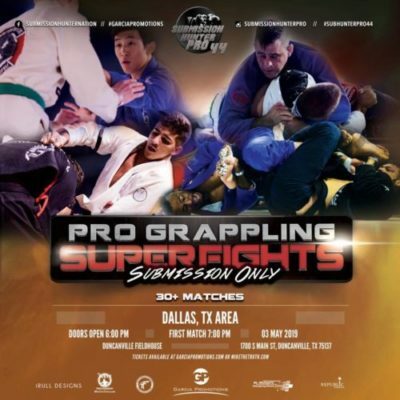 Submission Hunter Pro returns to the Dallas, Tx area for Submission Hunter Pro 44. The event take place on Friday, May 3, and will be held at the Duncanville Fieldhouse. The event will feature top grapplers from the area in all levels, including a purple belt gi title fight between Ben Caudle and Keaton Standridge. Check out the full card below, and purchase your tickets here at MikeTheTruth.com. Grapplers receive a portion of their ticket sales from my site.